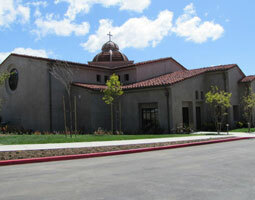 Worship Interiors Group transforms places of worship with state of the art furnishings and restoration services. 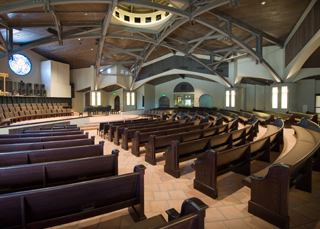 We have the capability to completely restore any interior and create a breathtaking finish for your congregation to enjoy. Our clients have access to a full range of different services including pew renovation, pew reupholstering, stained glass design and repair, and more. We also provide auditorium seating and stacking chairs. Our focus on using premium materials, performing precision work and our awareness of preserving the history and sacredness of each interior has truly set us apart. We are committed to offering only the highest quality craftsmanship for each and every repair, restoration, or new installation. Prior to any restoration, a member of our team will meet with the congregations to establish how the renovation will unfold. We highlight the desired environment and spiritual heritage that will be the focus of the renovation. The next step is to work with our affiliates, manufacturers, and partners to find the relevant products and services that are needed. We work with our clients at every stage of the process to ensure their complete satisfaction. We understand what a major decision it is to entrust your worship interior to a restoration specialist. That is why we take such great care during the restoration process and we treat your interior as though it were our own. We stand behind the caliber of our products and services with many of our products being covered by warranties. Let Worship Interiors help you to create the beautiful interior your place of worship deserves.